Once a client has purchased a package they can now use if for future appointments. To do this is exactly the same way you would book any other appointment. 1. 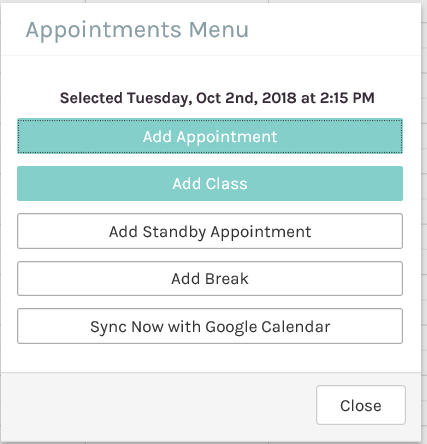 Navigate to the appointments screen, by clicking on the Appointments option at the top right of the screen. 2. 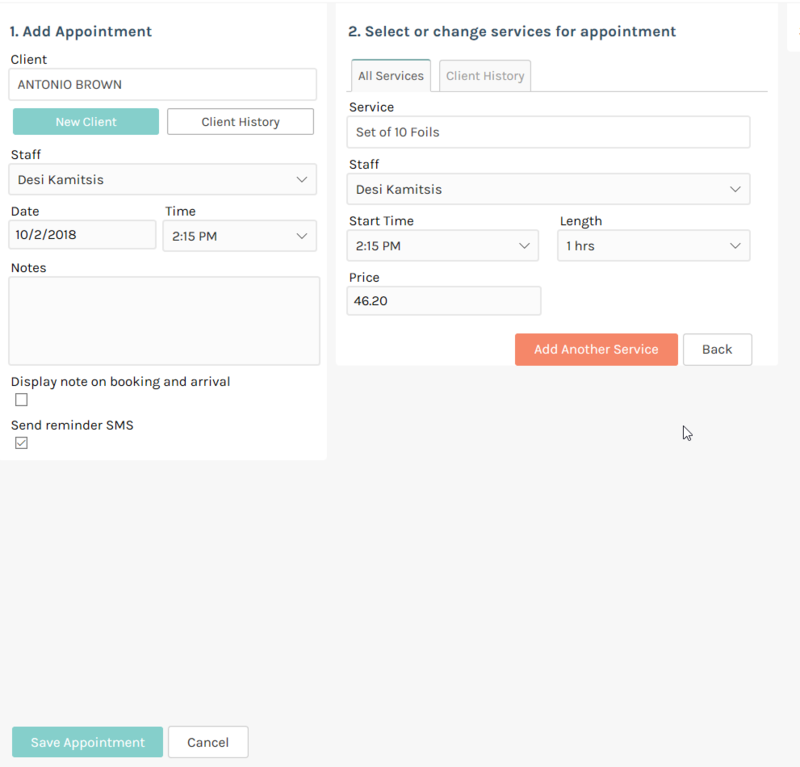 Click on the appointment at the time and for the staff member who you wish to perform the service as you would for a normal appointment, then choose the Add Appointment option. 3. Enter the appointment details, including; Client name, date and time of the appointment as you normally would. When making this package appointment you will need to select the name of the package in the services section OR one of the services that you deemed to be part of the package when setting it up. When the appointment is complete you should send it to sale as you would for a normal appointment. See this article for instructions on performing a sale. One thing you will notice when sent to sale is that the service that is part of the package will have a zero price automatically calculated. You should still click the Complete Sale button and the package will be taken off balance of the client.